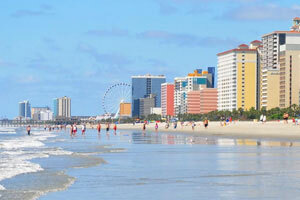 This condo offers accommodations throughout the area in Myrtle Beach. Make yourself comfortable in this individually furnished condo, featuring a kitchen with a refrigerator and an oven. Complimentary wireless Internet access keeps you connected, and cable programming is available for your entertainment. Conveniences include a microwave and a coffee/tea maker, and housekeeping is provided once per stay. The preferred airport for this condo is Myrtle Beach, SC (MYR).